The Letter Writing Club has been gathering at our flagship store in Vancouver to write letters to their loved ones since September of 2005. 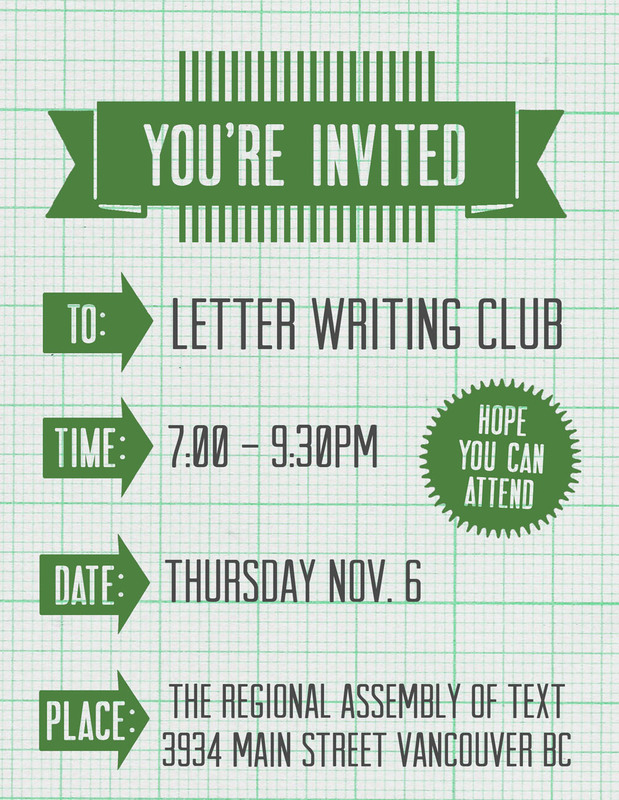 This monthly event is open to everyone, especially those of us who love writing letters as much as we love receiving them. Join us in Vancouver the first Thursday of every month at 7pm. No need to sign up ahead of time. Everyone welcome. No cost. Supplies provided.